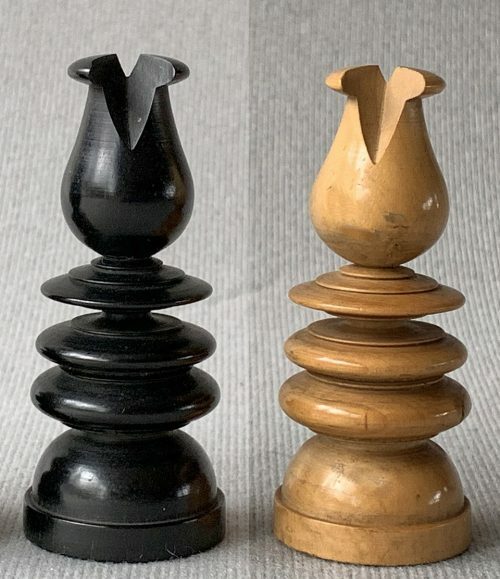 Offered here is a set of Calvert English Pattern Chessmen, unweighted and unfelted. 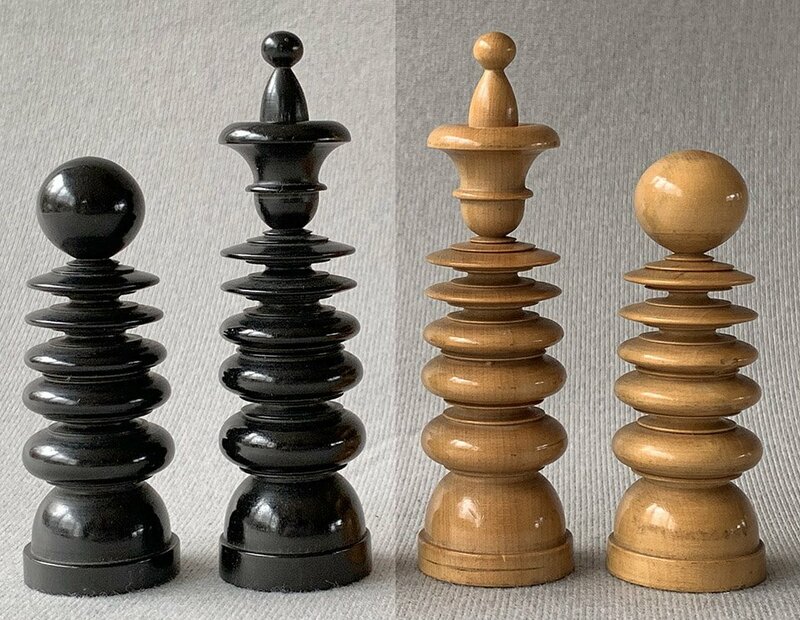 This set of Chessmen is extremely well turned and is crafted from Boxwood and Ebony. 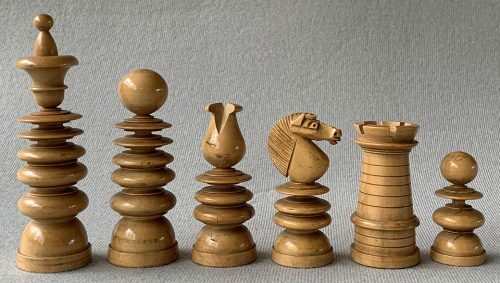 This style of chessmen was common in the late Georgian or Early Victorian Period and probably dates to the 1830s. 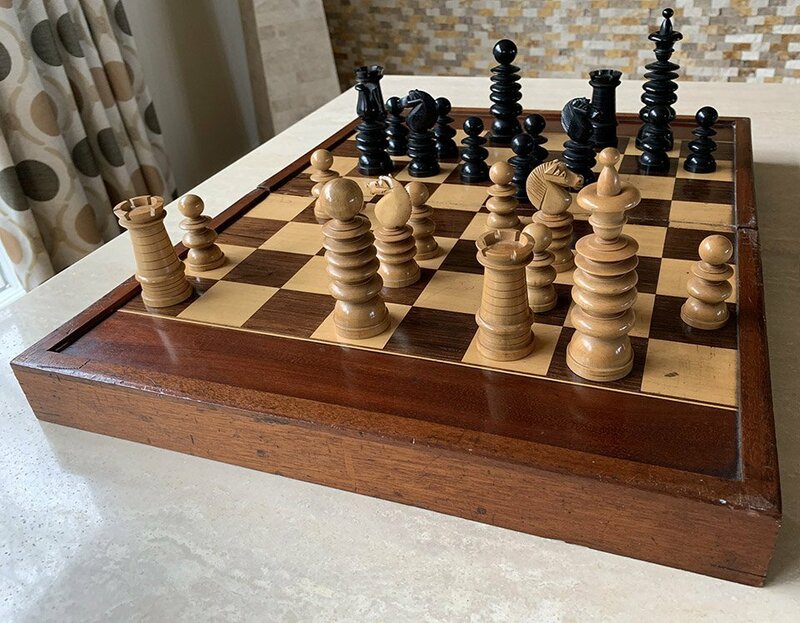 The King stands an impressive 4.4′ tall with a 1.3″ diameter base, The English Boxwood chessmen have developed a pleasing patina and are in excellent condition. 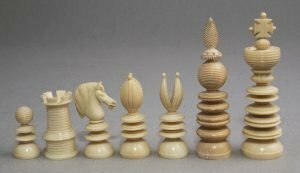 The chess pieces are housed in what appears to be its original, unlined, Pine slide-top box. 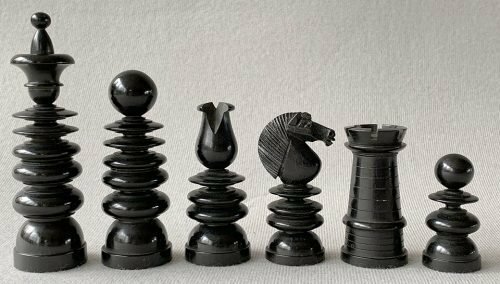 The chessboard shown is not included, but a suitable chessboard can be found elsewhere on this site. 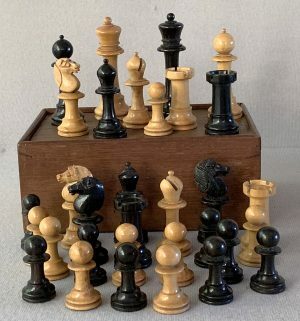 These Calvert English Pattern chessmen fall into the ubiquitous category often referred to as English Playing sets, which also included the Saint George pattern and Lund patterns. 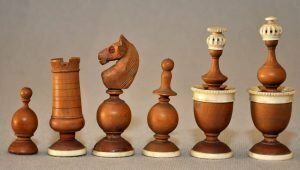 The English Playing sets were ultimately supplanted by the Staunton chessmen, which were introduced to the public in September of 1849. 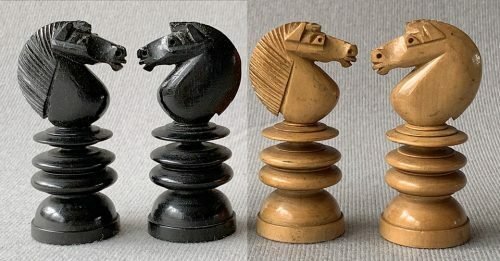 English Playing Sets of this type have been attributed to John Calvert because of certain unique design features of the Kings in chess sets produced by him. However, these chessmen are not believed to have been produced by Calvert. True Calvert Knights will have much finer craftsmanship, although the turning and finishing on this set is every bit the equal of Calvert’s work. 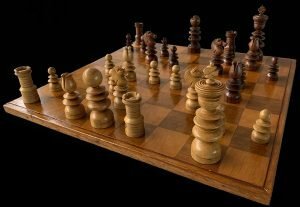 The workshop of John Calvert was located at 189 Fleet Street, where he operated his business between 1790 until his death in 1825. 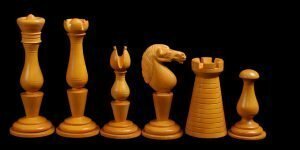 He was awarded the title Master of the Worshipful Company of Turners in 1819. 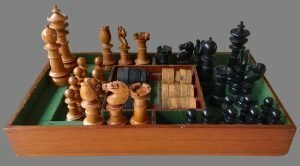 After his death, the business was continued by his widow, Dorothy, until around 1840. 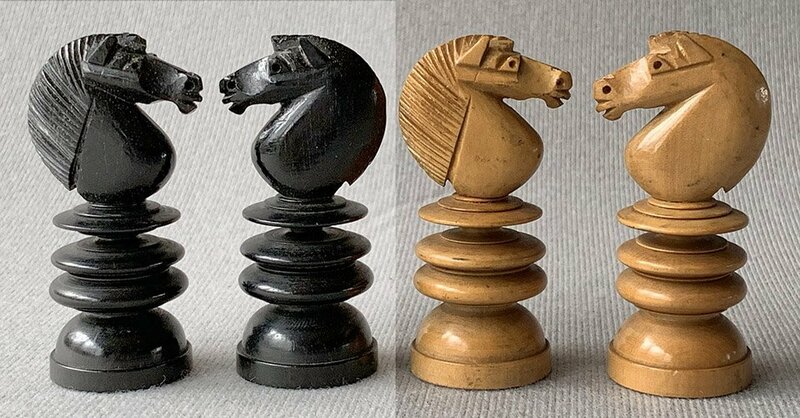 Similar sets of chessmen were made by Thomas and William Lund as well as George Merrifield and John Jaques, among others.